Each year at ISC West, the Security Industry Association (SIA) New Product Showcase program recognizes winners in several product and service categories. 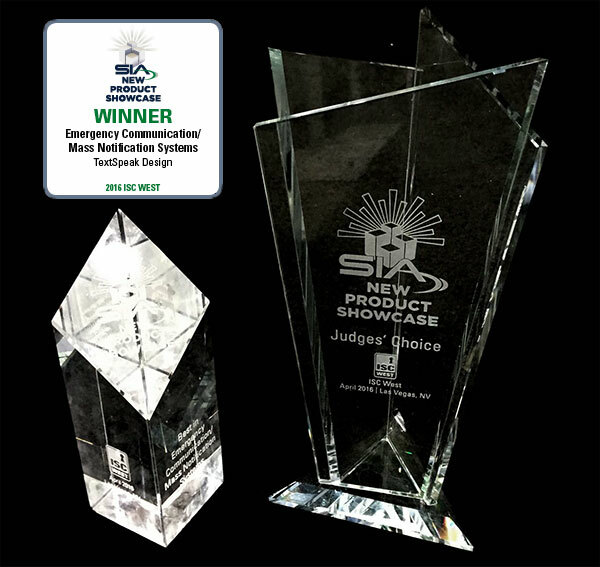 TextSpeak’s new CE Cellular Amplifier won the ‘Best New Product in the Emergency Communication/Mass Notification Systems’ category, and the ‘Judges Choice Award’, only awarded to a single product out of all the entries. 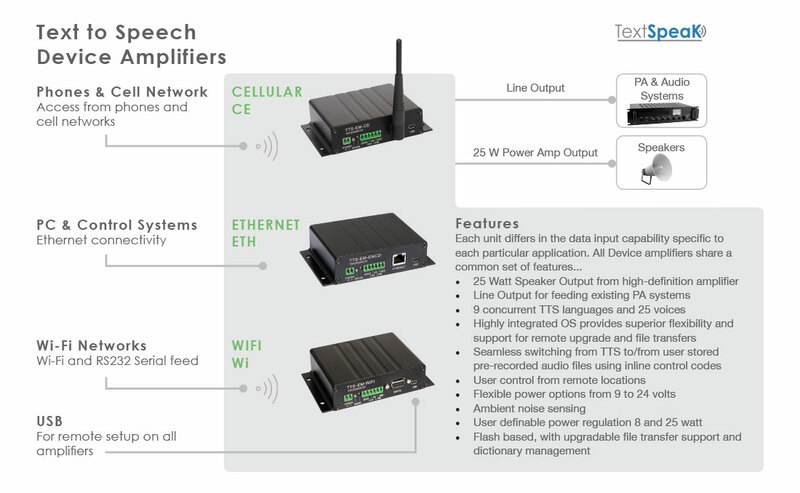 Three text to speech amplifiers each with different data input capabilities – Cellular, Ethernet or WiFi. The three versions of TextSpeak NOTIFY! notification solutions include these amplifiers, for example, TextSpeak NOTIFY! Cellular includes the Cellular amp. These amplifiers are available to purchase individually to add to existing TextSpeak NOTIFY! systems. The NOTIFY! system and the TextSpeak App can support multiple TextSpeak Device amplifiers making it easy to create larger comprehensive mass notification systems.